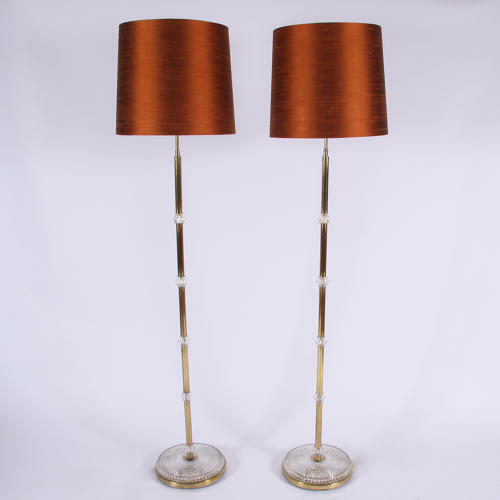 A stunning and unusual pair of brass floor lamps with decorative cut glass sections and base. Pictured with bespoke hand made silk shades. Re-wired and PAT tested.